Welcome to Everything But The Cook! We specialize in quality kitchen housewares, and are one of the most popular kitchen stores in New Hampshire. We have moved! 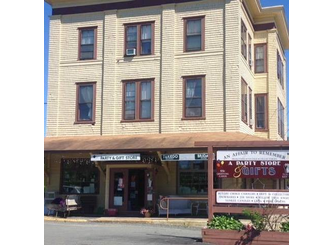 We are now located at 28 Central Street, in Woodsville, NH. Same location as An Affair To Remember, A Party Store. Here at Everything But The Cook you'll find professional cutlery, professional cookware, gadgets, countertop electrics, cookbooks, and more! Brands include: Wusthof, Henckel, Viking, Kyocera, Emerilware, Swiss Diamond, Swissmar Imports, Lodge, KitchenAid, All-Clad, Le Creuset, Krups, Cuisinart, Oxo, Wilton, Nordicware, Chicago Metallic, RSVP, Epicurean, Keurig, Fox Run, Bodum, Zojirushi, Waring Pro, Chef's Choice, Eastman Outdoors, Charles Viancin and SodaStream. Gift certificates, bridal registry, and layaway options are available. Speak with our friendly, knowledgeable staff for more information, or if you have any questions.